Good. Trade paperback (US). Glued binding. 784 p. Contains: Illustrations. From the author of "The Barbecue Bible" comes a book that embarks on a quest to find the soul of American barbecue, from classics to the grilling genius of backyards, tailgate parties, competitions, and local restaurants. Includes 450 recipes from all 50 states. Illustrations. 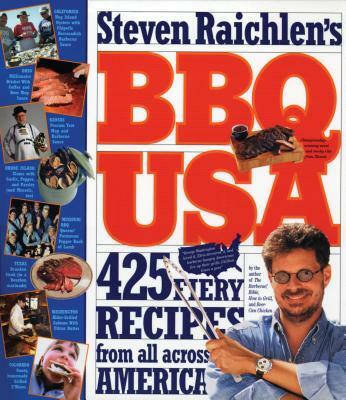 It gave a good overview of different barbeque styles from all over the US.